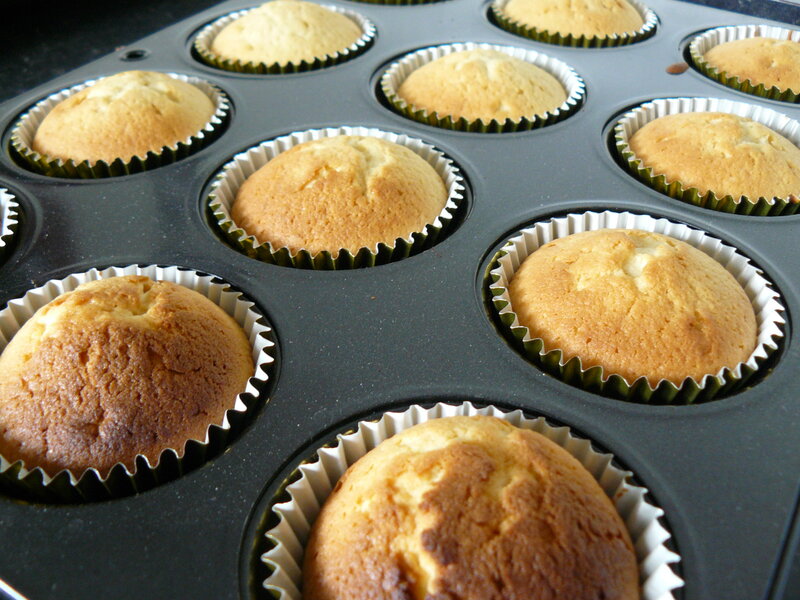 Mini G specially requested lemon cake. 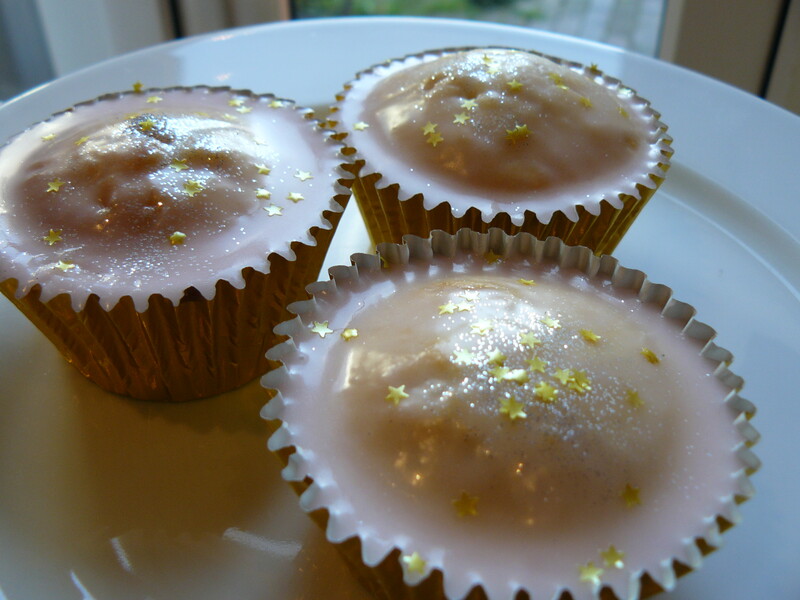 I find that cupcakes keep and travel well, so I decided to turn what usually would be a traditional lemon cake into something new – Pink Lemonade Cupcakes. 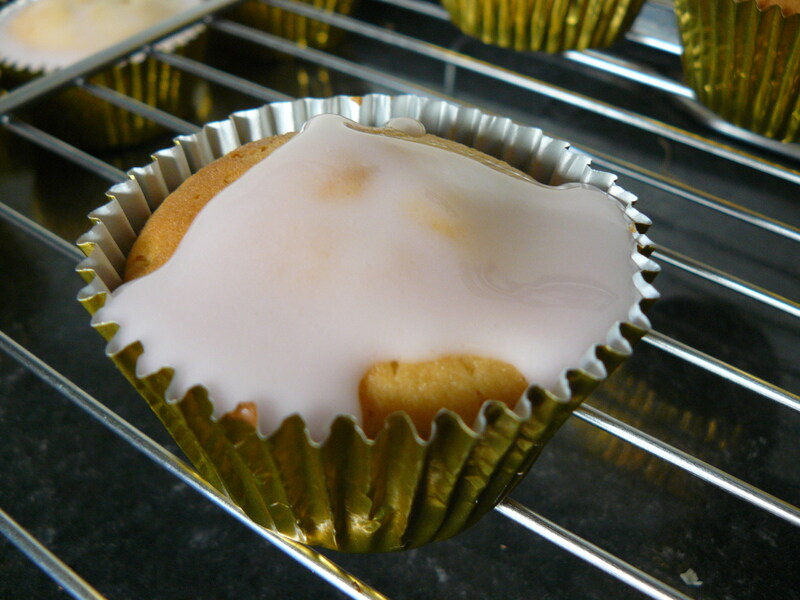 Using the handy Primrose Bakery book again, I tried out their lemon cupcake recipe. I love lemon zest. It’s such a wake up flavor. 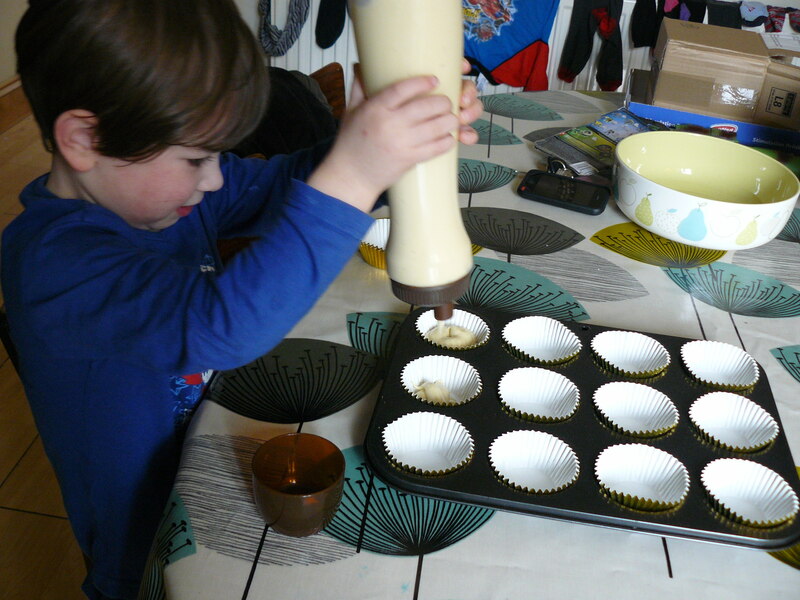 As it was Mini G’s idea, he wanted to help. I got out the cupcake pen and set him to work. 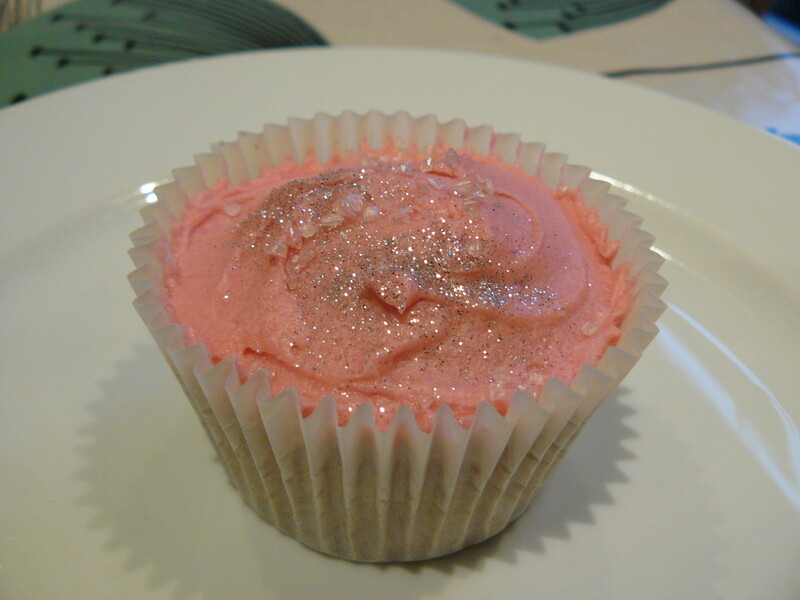 Mini G also decided the cupcakes should have pink icing. These remind me of having pink lemonade on hot summer days. The added sparkle makes them that much more fun. If only summer would get here faster! 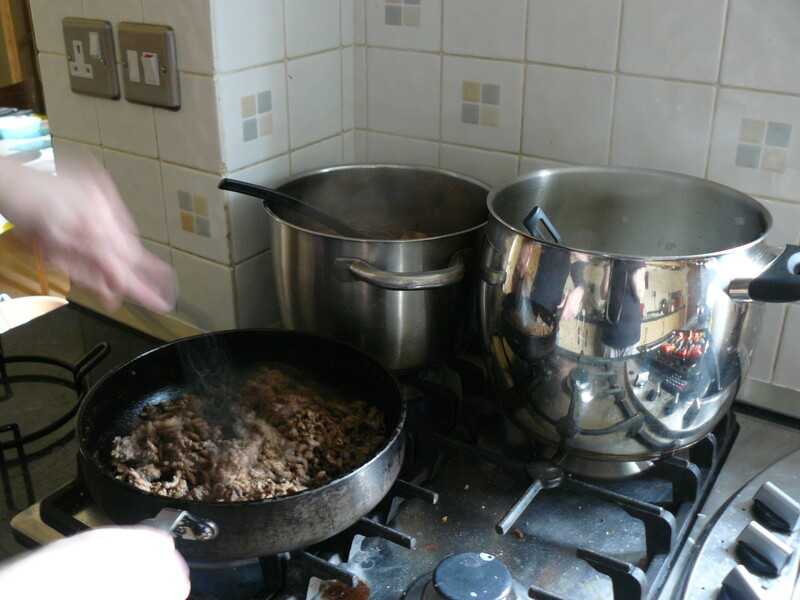 One of our favorite meals is chilli. Part of my family is from Texas, so it’s pretty much in my blood. The husband makes a vat of it so we can freeze it and have a handy “ready meal”. 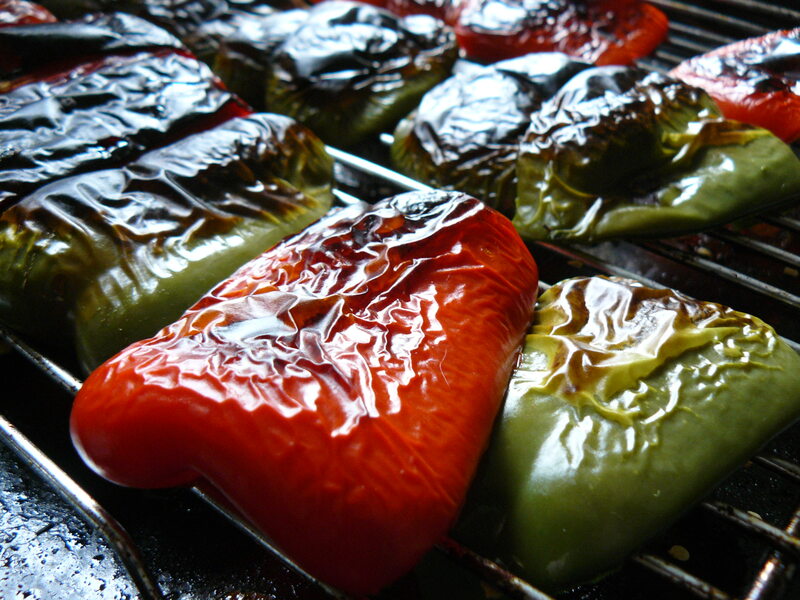 One of my favorite “scents” is roasted red peppers, it’s also a key ingredient for making the chilli super yummy. Normally a couple of lagers gets chucked in for added flavor, but this time we decided to go with red wine. 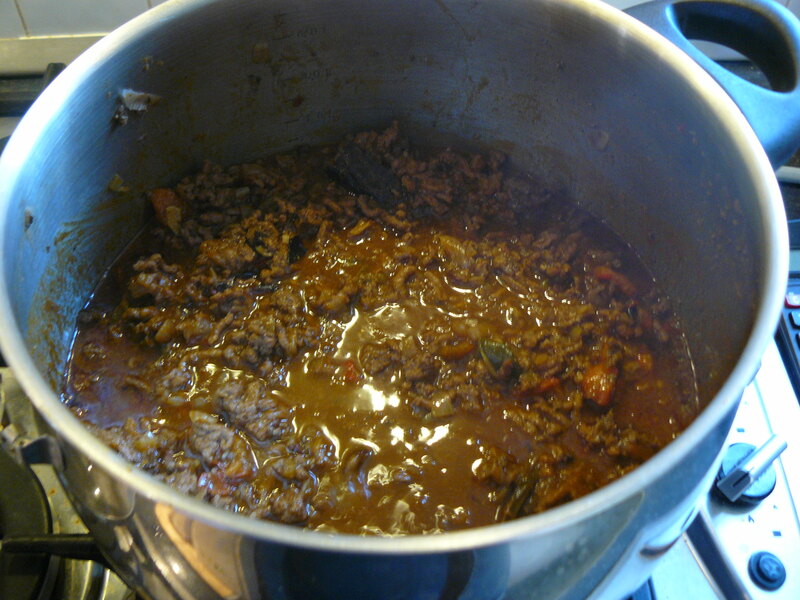 Reducing the wine with a bit of beef stock gives the chilli a very savory flavor. 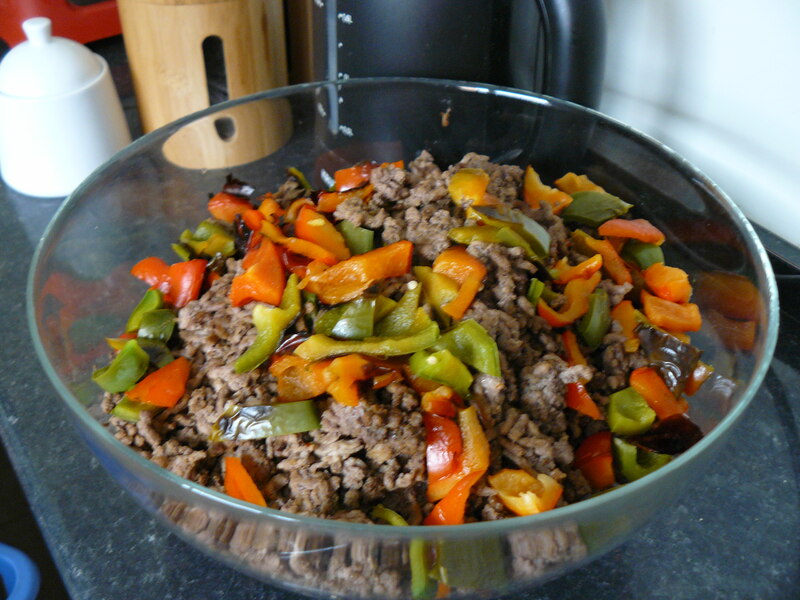 The browned meat and roasted peppers are ready to be combined with the softened onions and reduction. 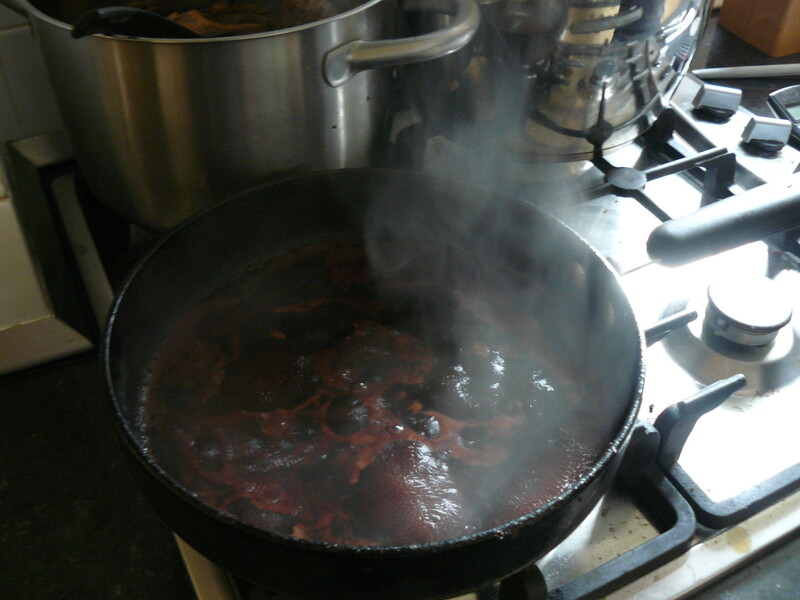 The chilli is ready. I wish it was dinner time, because I tested it and I could eat the whole pot. Thankfully, it’s what we’re having tonight and there are 6 more meals going into the freezer for a future date. 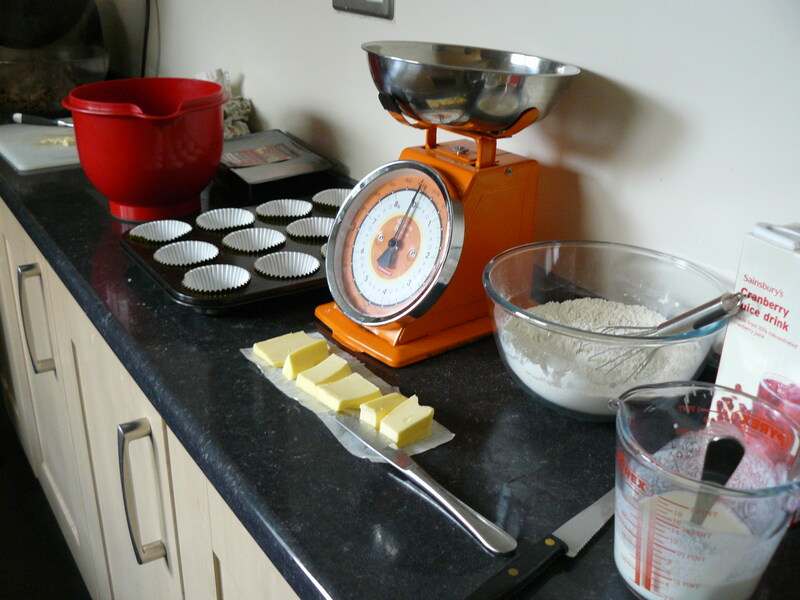 Now I just need to get my cornbread swerve on… ahh, a project for next weeked – watch this space! 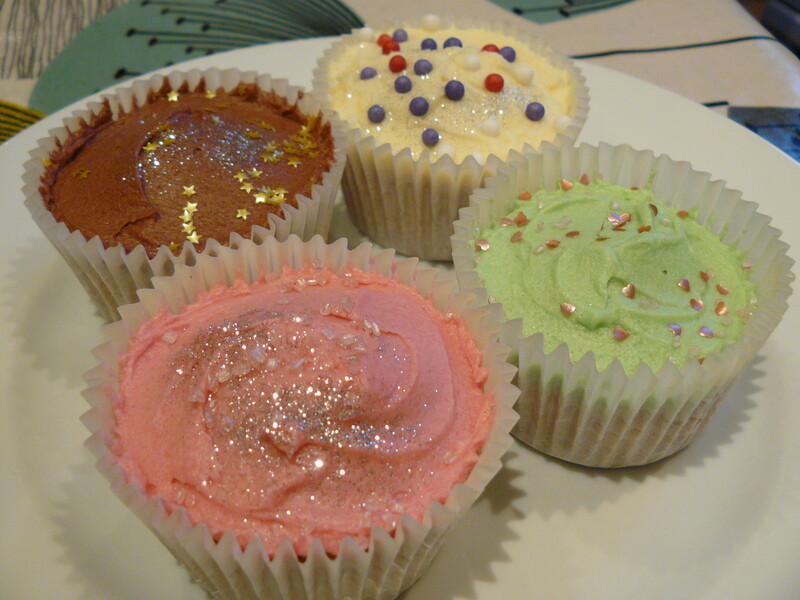 A colleague of mine commissioned me to make cupcakes for her daughter’s birthday. I was really nervous as these had to be great. I couldn’t let down the birthday girl. 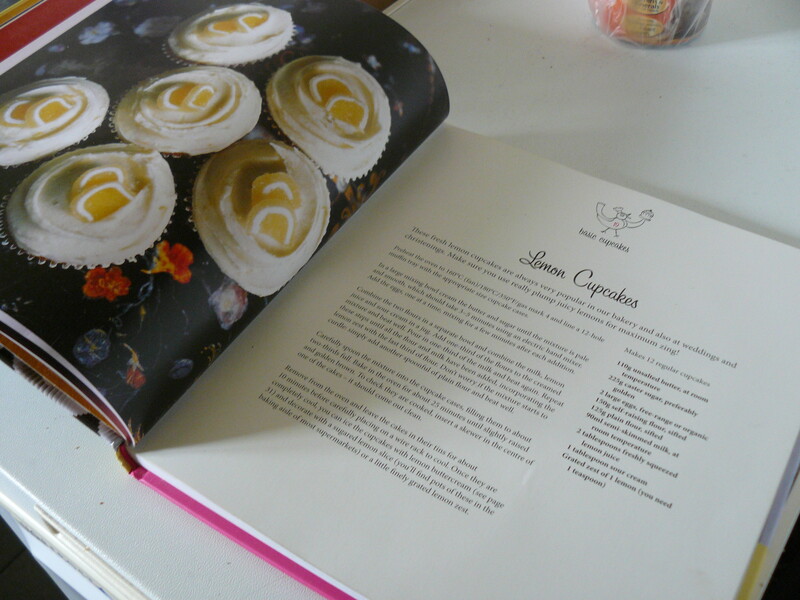 I decided that chocolate cakes would be the way to go, so I reached for my trusty Primrose Bakery Cupcake book. 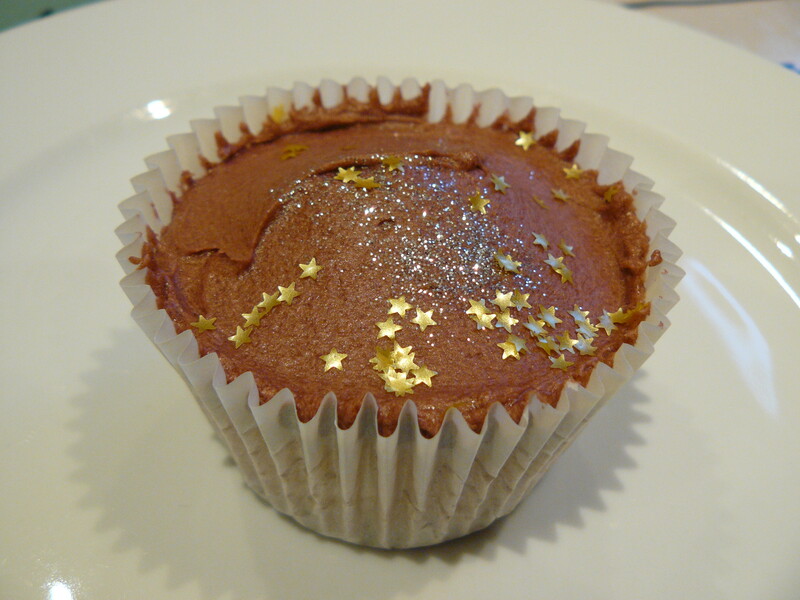 Only the best chocolate would do for these cupcakes. 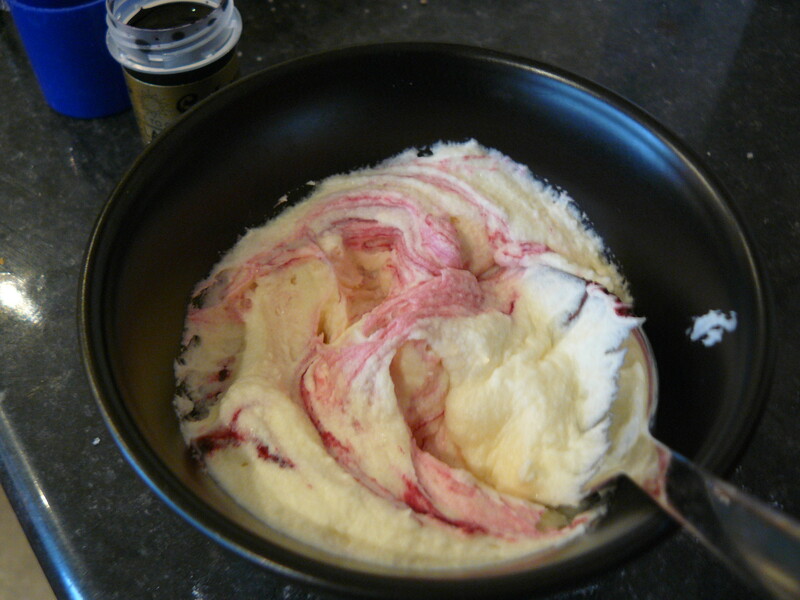 I made sure all of the ingredients were at room temperature for proper mixing. 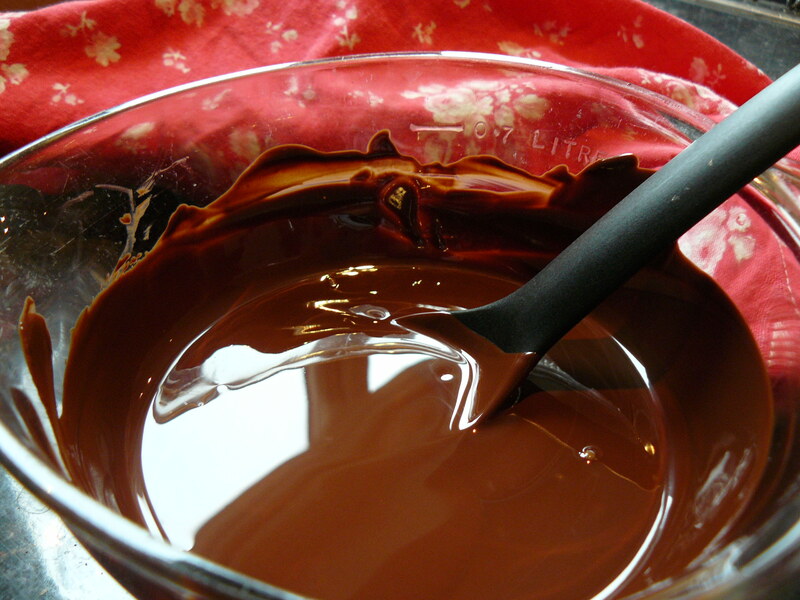 Once the chocolate was melted and cooled, I combined it with the rest of the ingredients. The secret to this recipe is separating the eggs and whisking the egg whites to a fluffy consistency. 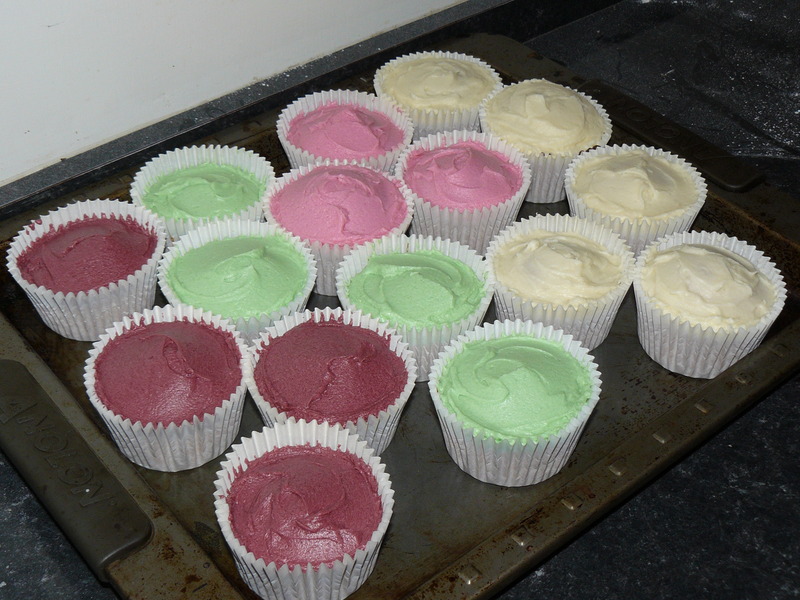 The batter was mousse-like. These were one of the best I’ve made (says my husband). 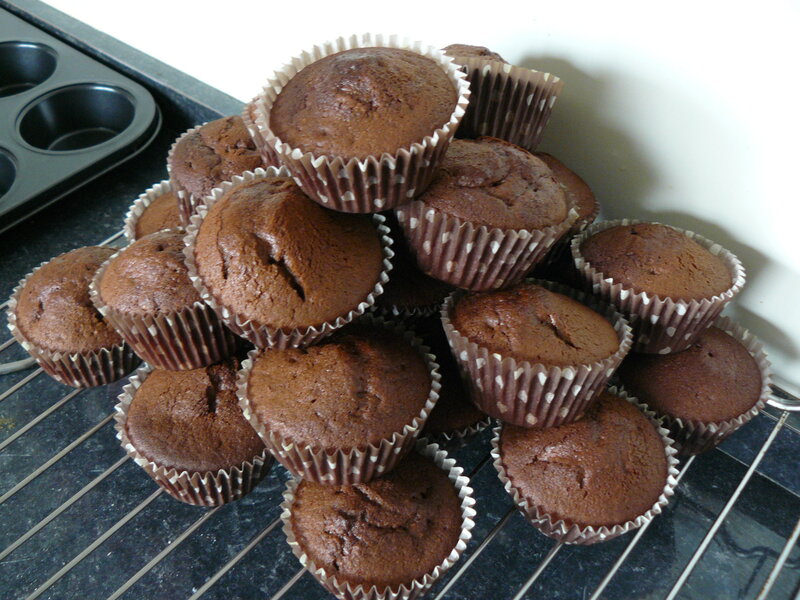 I think they were pretty amazing, if I do say so myself! 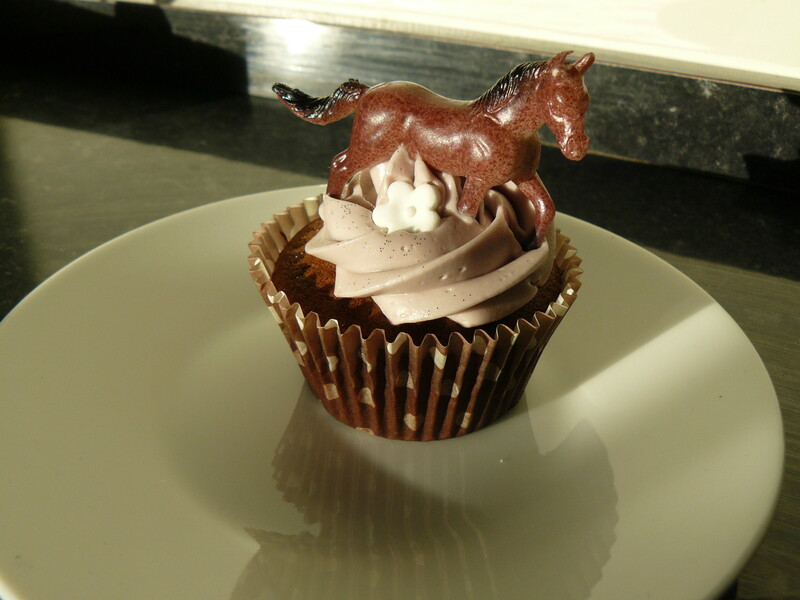 As my colleague’s daughter is a bit of a tomboy and loves horses, I went with a lavender/chocolate brown combination. I was pretty nervous presenting these as it was my first “paid gig”, but I think the result was a-ok. Since moving to the UK over 6 years ago and the revelation of “Pancake Day”, I vowed that one day I would have pancakes in some form for breakfast, lunch and dinner. Since pancake day represents Shrove Tuesday, pancakes for lunch has always been the sticking point as it falls during the work week. My other half generally doesn’t want pancakes for dinner, so I’ve ended up making them for myself for breakfast only. 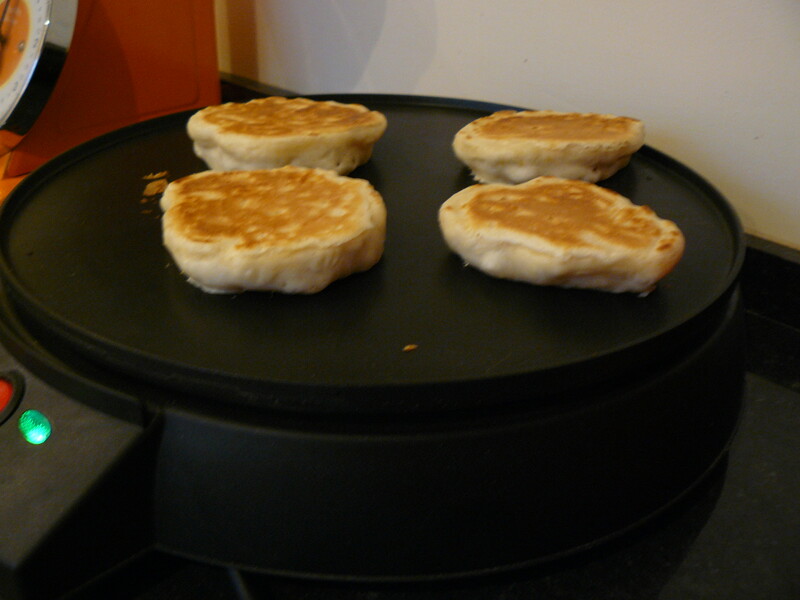 This year I managed to convince the other half to have galettes for dinner. Since they are a crepe and crepes are pancakes, it fit the bill! We’ve been trying to perfect this recipe and technique ever since our first trip to France. I think we are almost there! One of these years, I will manage to do pancakes for lunch and will fulfil my dream of having pancakes for breakfast, lunch and dinner. I fancied a really comforting dessert, kinda like apple pie. I noticed this recipe in my favourite baking book, Eric Lanlard’s Home Bake and thought this would be the perfect combination. 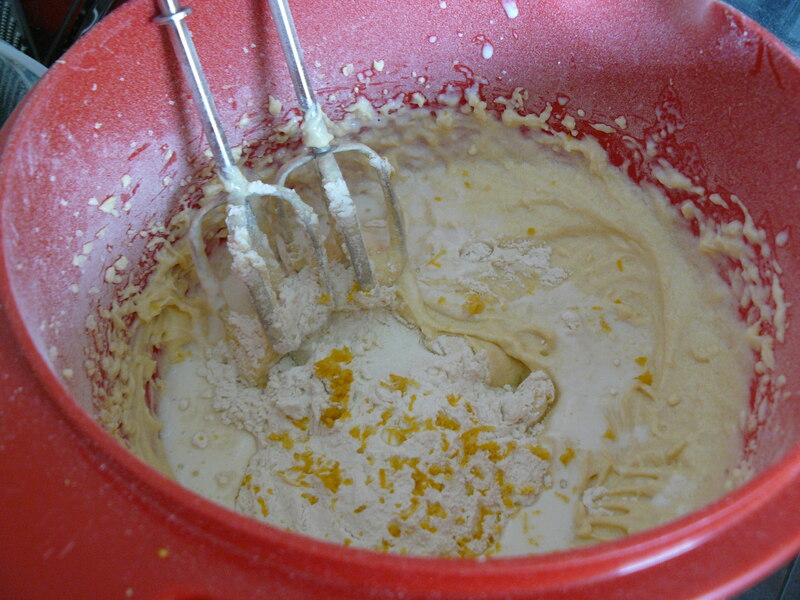 The batter was super easy to put together; a simple sponge. Peeling the apples was the most difficult and time consuming task for this recipe. But the end result was definitely worth it. 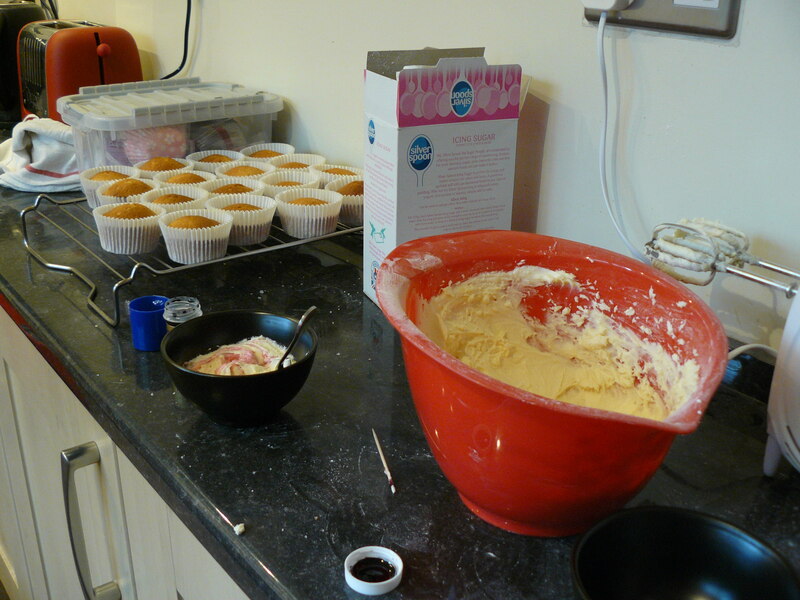 Once the sponge layer and apple layer were put together, I topped them with the crumble layer. I’m not sure if I used too much flour in the crumble mixture, (although I thought I followed the recipe exactly) but the end result of the topping came out a bit dry rather than crumble-y. I will definitely do this recipe again as even though the crumble wasn’t perfect, it tasted delicious! I have a feeling this will be a regular one in my repertoire come autumn. I was intrigued by the chocolate and beetroot cake recipe from the Red Velvet & Chocolate Heartache cookbook and wanted to test out the combinations of flavours. I had never made fudge before and am always up for a baking challenge, so I thought this would be a good one. 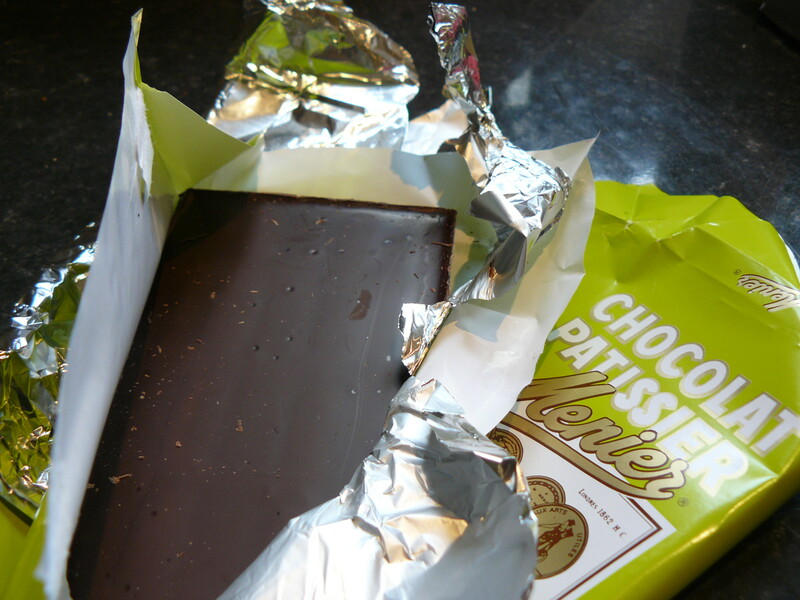 I like chocolate, I like beetroot… let’s see how the two work together. 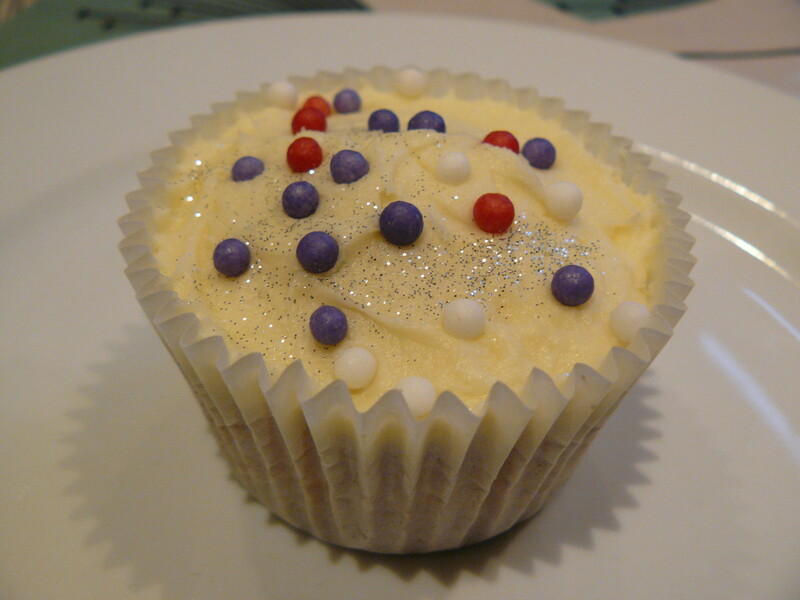 I followed the recipe closely and carefully. 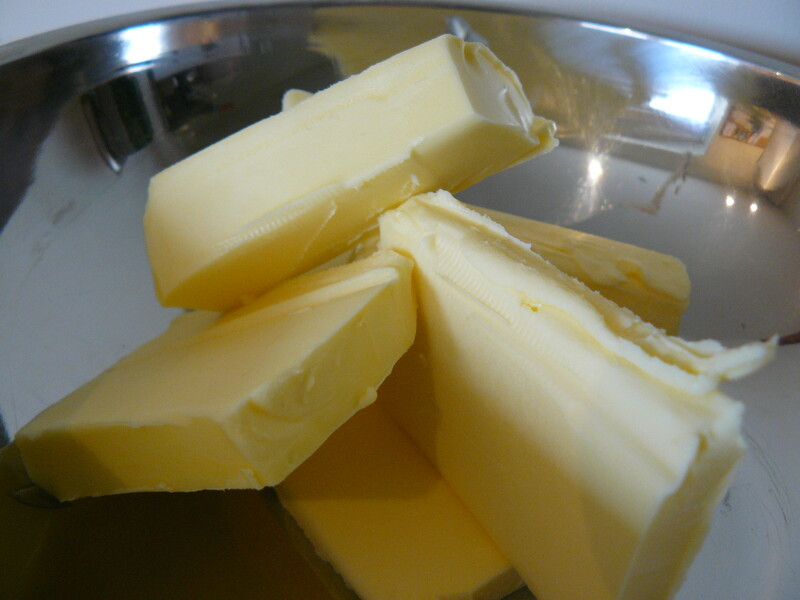 Melting sugar, butter with the condensed milk and then added the chocolate. This is where I fell down. I was trying to be careful as to not overcook the chocolate mixture, I don’t think I got it to the right temperature at the end – or – I didn’t mix it hard enough – or – both… The fudge didn’t set quite as much as anticipated and turned out to be “spoon fudge”. Not to be discouraged, I put it in pretty papers for nice presentation. It’s rare that the hubs and I get a lie in on a Sunday as Mini G tends to wake up before the sun and insists we get up too. This particular weekend however, Mini G had a sleepover at Nanny and Poppy’s. I took advantage of the leisurely situation and decided to try out a new pancake recipe from one of the newest cookbooks in my collection – French Women Don’t Get Fat Cookbook. I’m a big fan of Mireille Guiliano’s books and ethos on life in general. 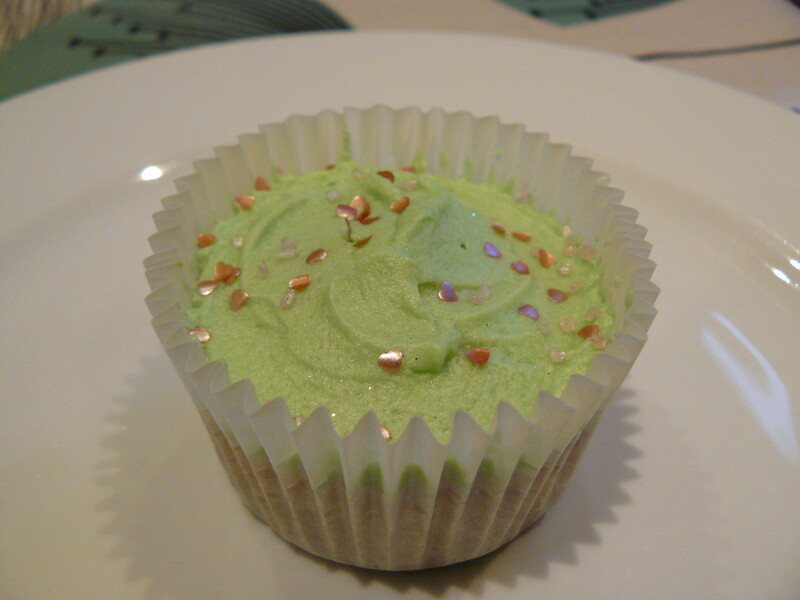 This recipe did not disappoint, in fact for a “healthy breakfast” it tastes very indulgent. The lemon is a morning wake up for the taste buds. The ricotta makes the pancakes fluffy and light. 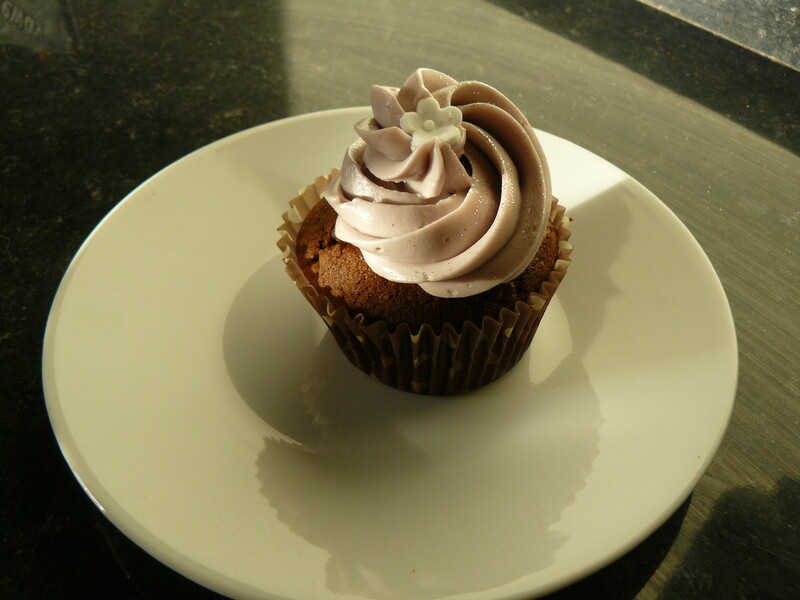 It was a brilliant recipe to test on a quiet Sunday morning. I only hope that there will be more like this in my future. 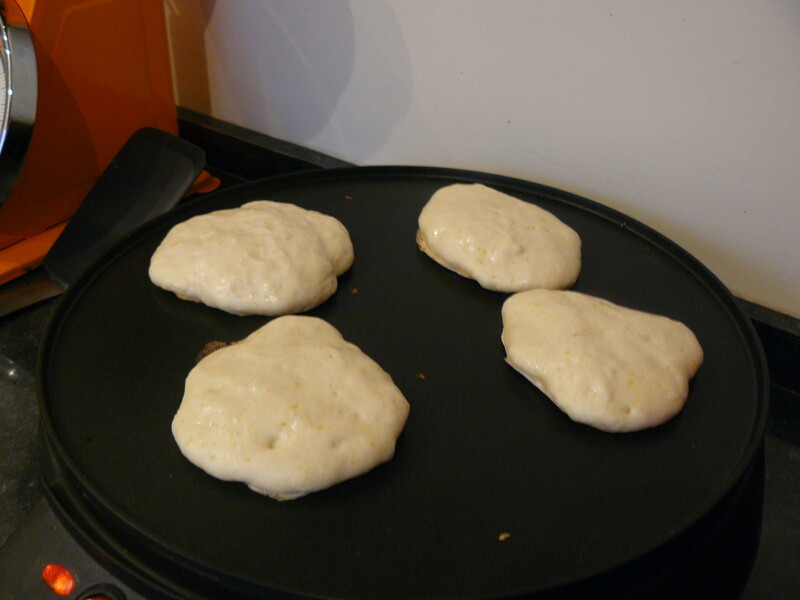 Saying that… Pancake day is just 2 days away. Mmmm…. pancakes!